Nature relatedness (NR) describes the affective, cognitive, and experiential aspects of human–nature relationships (Nisbet in Environ Behav 41: 715–740, 2009). 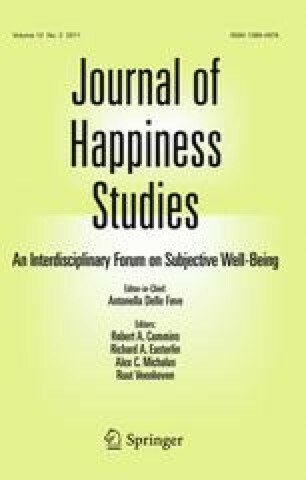 Evidence from three studies suggests that individual differences in NR are associated with differences in well-being. In study 1 (N = 184), we explore associations between NR and a variety of well-being indicators, and use multiple regression analyses to demonstrate the unique relationship of NR with well-being, while controlling for other environmental measures. We replicate well-being correlates with a sample of business people (N = 145) in Study 2. In study 3 (N = 170), we explore the influence of environmental education on NR and well-being, and find that changes in NR mediate the relationship between environmental education and changes in vitality. We discuss the potential for interventions to improve psychological health and promote environmental behaviour. This paper was prepared while the first author was supported by a Doctoral Fellowship from the Social Science and Humanities Research Council of Canada (SSHRCC), and with the support of a SSHRCC Standard Research Grant (410-2003-1643) to the second author. We wish to thank members of the CUHL Lab for their assistance with data entry. Fredrickson, B. L. (2000). Cultivating positive emotions to optimize health and well-being. Prevention & Treatment, 3, Article 1. Retrieved March 12, 2005, from http://www.unc.edu/peplab/publications/cultivating.pdf.